Edwin Newman, born January 25, 1919 – died August 13, 2010 was an American newscaster (NBC News 1952-1984), journalist and author. Newman was born on January 25, 1919 in New York City to Myron and Rose (nee Parker) Newman. His older brother was M. W. Newman, a longtime journalist for the Chicago Daily News. Newman married Rigel Grell on August 14, 1944. They had one daughter, Nancy, who was born on October 6, 1945. After graduating from George Washington High School in 1935, Newman attended the University of Wisconsin, earning a bachelor's degree in political science in 1940. He briefly did graduate studies in American government at Louisiana State University prior to entering the journalism profession. Newman worked initially for the wire services, first the International News Service (as a copy boy, mostly in the Senate) and then the United Press. On the day of the attack on Pearl Harbor, Sunday December 7 1941, he heard the news during a radio concert. When he rang the office asking if he should come in, "Hell yes!" came the reply. He took dictation for 12 hours as the United Press reporters phoned in their stories. Newman joined the US Navy in 1942 and served as a signals officer in Trinidad (1942-1944) and then at the Brooklyn Navy Yard (1944-1945). Following the war, Newman worked as a reporter for the United Press (1945-1946), mostly reporting about the State Department, before moving to CBS News (Radio) (1947-1949) to act as assistant to Eric Sevareid. Between 1949 and 1952 Newman worked freelance, primarily for NBC News. He also wrote for numerous publications and worked for the Marshall Plan (1951) in Greece. In 1952, he began to work for NBC full-time. He covered significant stories from the funeral of King George VI from the freezing battlements of Windsor Castle (1952); to Britain’s emergence as a nuclear power; to the Suez Crisis (1956). At the same time, as always, he loved quirky stories. Once he climbed a tree in Kensington Gardens dressed in a hunting outfit, complete with deerstalker hat and whistle, to investigate a report that ducks had taken to nesting in trees. Newman was Bureau Chief for NBC, first in Rome and then in Paris. In both assignments, diplomatic and political news such as the twists and turns of the Cold War and the increasingly divisive anti-colonial Algerian War, vied with stories to cover elsewhere in Europe and further afield. Newman covered the accession to power of President Charles de Gaulle in 1958. He was decorated Chevalier of the Légion d'honneur for his coverage of the President’s funeral in 1970, and for strengthening the understanding of France in the United States. Between 1961 and 1984, Newman participated in every kind of programme NBC News produced, as well as for other parts of NBC. The breadth of his activities was unique. He was a regular member of the The Today Show team. On Meet the Press, he was one of the most frequent panellists and very often the moderator. From 1960 to 1984, he played a central role in NBC’s coverage of the Republican and Democratic national conventions at a time when raw politics still played a major part and when coverage was gavel to gavel. He was one of a team dubbed "The Four Horsemen of the Apocalypse"; fitted with technologically advanced backpacks, they could, for the first time, roam the convention floor interviewing delegates. Newman was a specialist in breaking news. In 1963, he made the first announcement on NBC radio of President Kennedy’s death. He anchored the television coverage of the assassinations of Martin Luther King and Robert Kennedy (1968) as well as the Six-Day Arab-Israeli War (1967) and the Vietnam Ceasefire (1973). In 1981, after an assassination attempt on President Reagan, he was seized to anchor NBC’s television coverage for a considerable time until full teams were mustered. Newman was also a trusted interviewer. He was the only journalist ever to interview Emperor Hirohito. The interview took place in September 1975 at the Imperial Palace in Tokyo, just before Hirohito’s diplomatically delicate visit to the United States. For his program "Speaking Freely", he conducted more than 250 hour-long interviews with leading figures of the day between 1967 and 1976. This achievement may be unique in US television. Among those he interviewed were film-maker Ingmar Bergman; zoologist Konrad Lorenz; classical guitarist Andres Segovia; boxer Muhammad Ali; and the first prime minister of Israel, David Ben-Gurion. The series was broadcast on Sunday mornings by the local New York station, WNBC (with transcripts available) and syndicated to other stations. Newman was also a trusted moderator. He moderated two presidential debates, both of which called on his legendary calm and courtesy. In 1976, he was chosen to moderate the first presidential debate since 1960. The debate between President Ford and Jimmy Carter was marred by a 27-minute loss of sound during which the candidates stood silently by their lecterns. In 1984, President Reagan faced Walter Mondale. When Reagan overran the time limit for a closing statement, he was obliged to cut off the President in full flow. He took part in numerous documentaries while at NBC and later possibly, he believed, as many as anyone in US television history. Among those for NBC were: "Japan: East is West" (1961); "Who Shall Live?" (about kidney dialysis), (1965); "Pensions: The Broken Promise" (1972); "Violence in America" (1977); "Spying for Uncle Sam" (1978); "Reading, Writing and Reefer" (1978); "Oil and American Power" (1979); and "The Billionaire Hunts" (1981). As a music lover, he hosted Boston Symphony concerts from Tanglewood; he contributed to the work of the Religious Affairs Unit at NBC; was a Broadway drama critic (1965 – 1971); and, as a baseball and boxing aficionado from childhood, relished sports broadcasts. Newman was also the man giving in-studio news updates during the short-lived morning version of The David Letterman Show in 1980 on NBC. On multiple occasions, he received standing ovations from the show's studio audience. After leaving NBC in January 1984, Newman was greatly in demand as an interviewer, narrator and moderator. He took part in many programs on PBS and on cable channels. One series to which he was particularly committed was Congress: We the People. 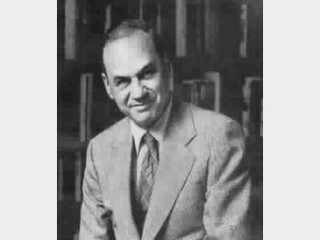 He moderated the annual televised conferences of the Former Secretaries of State (from 1983), and conducted a definitive series of interviews with Dean Rusk (US Secretary of State 1961-69), both for the Southern Center for International Studies, Atlanta Georgia. And by contrast, he narrated a series of programs about the restoration of Michelangelo’s frescoes in the Sistine Chapel. He was also in demand to "play himself" in films and on television. Among his credits were the films The Pelican Brief, Spies Like Us, and My Fellow Americans, and episodes of such television series as Newhart, Mr. Belvedere, The Golden Girls, Wings, and Murphy Brown. He lectured extensively on English and on the news business. He believed that the constant use of the term "the media" concealed "the fact that news is a competitive business." The public had a right to know how "news" was created and paid for, and about the kinds of decisions faced by journalists, production teams, and network executives. Above all, he believed that the quality which he and others in the news business needed most, was independence. Newman had a rare blend of seriousness and humor. For a 1964 documentary, he travelled from Paris on the Orient Express, talking to people along the way – and famously ended in a bubble bath in Istanbul. He also relished puns. When he worked on The Today Show his doggerel poem reviewing each year’s events would end, "Happy Noo Year to Yoose from Edwin Newman NBC Noose." Around the time he left NBC in 1984, he was twice host of Saturday Night Live and on one occasion, to the delight of the audience, sang the song "Please Don’t Talk About Me When I’m Gone" as part of the opening monologue. In 1974, his first book, Strictly Speaking: Will America be the Death of English? reached Number 1 in the New York Times Non-Fiction Best Seller List. The book owed its force to his love of vivid, precise language; his detestation of pomposity, clichés, errors and jargon, especially from the powerful; and his fierce belief that degrading the language was damaging the nation. But what snared the readers was his wit and satire. One fan tried reading the book on a plane. He laughed so much that he fell into the aisle, much to the alarm of the other passengers. A Civil Tongue followed in 1976; Sunday Punch (a comic novel) in 1979; and I Must Say in 1988. The last, a collection of his syndicated columns for King Features, ranged over US politics and foreign policy; his journalistic assignments; and the state of English. He served for many years as the Chairman of the Usage Panel of the American Heritage Dictionary (Houghton Mifflin). He spent his final years quietly, moving with his wife to England in 2007 to be nearer their daughter. He died August 13, 2010 in Oxford, England as a result of pneumonia. His death was not reported to the public until September 15, 2010. His wife and daughter survive him. View the full website biography of Edwin Newman.